For younger children, it is easier to have the plate cut apart and give them an example of how it is to be assembled. Then let them choose how they wish to decorate. 1.) 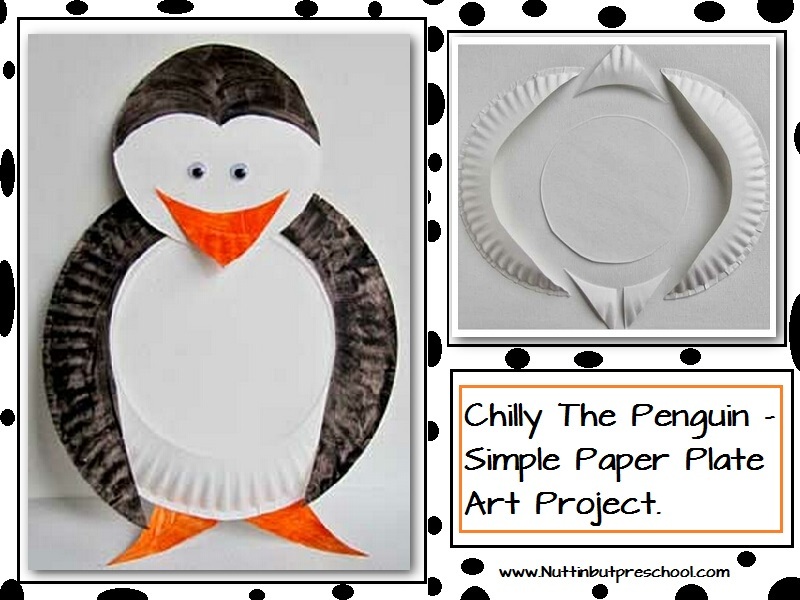 Cut paper plate like shown. 2.) Color the pieces as shown. 3.) Assemble the penguins and glue them together.